September 25-28: “Threat and Corrective? The Relationship between Populism and Different Models of Democracy” (with Anna Lührmann), DVPW Congress “Frontiers of Democracy”, Goethe University Frankfurt, Germany. August 30 – September 2: “The Will of the People? Populism and Support for Direct Democracy” (with Nina Wiesehomeier and Yanina Welp), APSA Annual Meeting, Boston, USA. August 22-25: “The use of referendums in Latin America: good or bad intentions?” (with Yanina Welp), ECPR General Conference, Hamburg, Germany. June, 7-8: “Convergence versus Divergence of Mass-Elite Political Cleavages”, Workshop at GIGA Hamburg, Germany. June, 13: “Populist Attitudes”, Workshop at University of Bamberg, Germany. November, 30: Presentation on “Let’s talk! – How to deal with a populist discourse?” at the 12th Programme for Diplomats from Latin America and the Caribbean, EU-LAC Foundation, Hamburg (Germany). November, 11: Invited talk at the Alumni-Netzwerk event “Populismus – Herausforderung für die Demokratie in einer globalisierten Welt?” of the Carlo-Schmidt-Program, Berlin (Germany).November, 1: Workshop on “Brettspiele in der Universitätslehre” at the “Tag der Lehre – innovativ & interaktiv” of the University of Zurich, Zurich (Switzerland). August, 29: Invited talk at foraus Event “Demokratie braucht Dich, Baby!“, Photobastei 2.0, Zurich (Switzerland). July, 20: Public talk on “Are we moving towards gender equality in academia?“, organized together with the female peer-group Women in Democracy Studies (WIDE) of the NCCR Democracy, at the University of Zurich, Zurich (Switzerland). 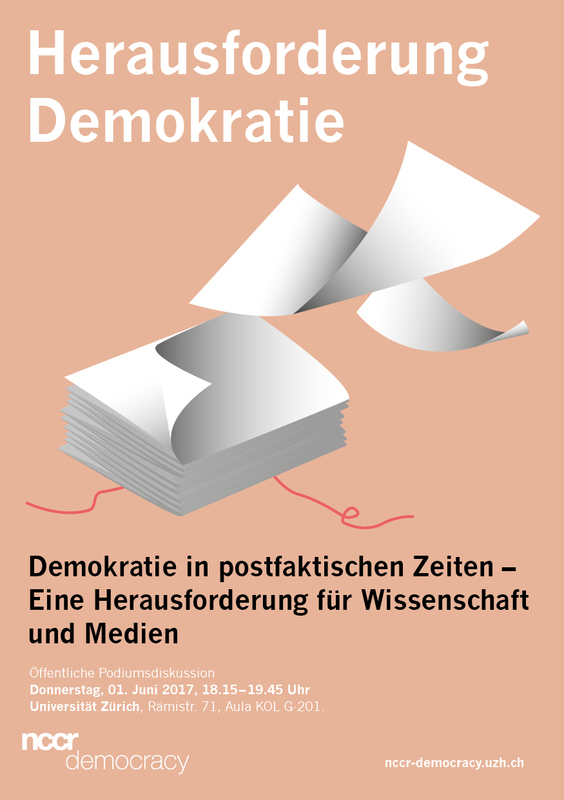 June, 1-2: Co-organizer of the public debate on “Demokratie in postfaktischen Zeiten: Eine Herausforderung für Wissenschaft und Medien“, NCCR Democracy, at the University of Zurich, Zurich (Switzerland). May, 12: Invited talk at the “Conference on information and public debate” at the Italian Senate, organized by the “Global Committee for the Rule of Law – Marco Panella”, Rome (Italy). [Video of the talk]. March, 30: Invited talk at the annual meeting of the Sektion Politische Ökonomie of the DVPW on “Politische Ökonomie des Populismus in Europa”, Düsseldorf (Germany).